Fourteen years after Hong Kong was promised a purpose-built cultural district the site of the project in West Kowloon remains a blank canvass but the new Chief Executive, Michael Lynch, has promised to break through the inertia and make the dream a reality. He spoke to Daniel Jeffreys. Michael Lynch gets used to being asked about his health. 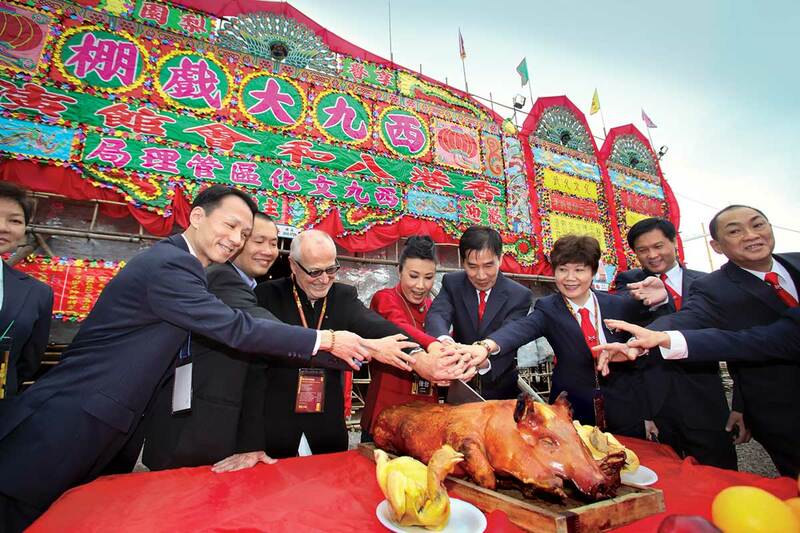 His predecessors in the post of Chief Executive at the West Kowloon Cultural District (WKCD) both left their posts early on medical grounds. It’s not surprising that leading the battle to build a cultural district over 40 hectares has taken its toll on those who came before Lynch. The project is years behind schedule, the initial budget of 21 billion Hong Kong Dollars looks like being too small by a margin of 9 to 15 billion dollars and the project’s name has become such a byword for controversy that Lynch is now seeking a new one. But despite these obstacles the man who revived London’s South Bank arts centre and turned it into a thriving and pleasant cultural destination is undaunted. Lynch says that it’s a good thing that Hong Kong brought “an old man” (he is 62) in to move the project forward because he is “very aware of time passing” and he says that the progress the project makes over the next five years is absolutely critical “to maintain the confidence of the people of Hong Kong”. In practice that means he would like to see construction well under way within that period complete with the emergence of a cultural centre that lives up to its potential. essential league of global cities. “The great cities of the world create a diversified offer so WKCD is part of the city’s competitiveness,” says Lynch. The current plan for the WKCD envisages a two-phase development process. In phase one the developers will build a Free Space in the Great Park as a live music venue, the Xiqu Centre consisting of a main theatre, teahouse and art education facilities, a Centre for Contemporary Performance consisting of three “Black Boxes” of 400, 250 and 150 seats, the Lyric Theatre with 1,200 seats that will be “clustered” with an outdoor cinema, Medium Theatre 1 for mainstream Hong Kong theatre and dance, a Music Centre with a 1,800 seat concert hall and a 300-seat space for recitals and the Resident Company Centres with 120,000 square feet of space for administration, rehearsals, partnership development and creative work. The second phase will see the construction of the Great Theatre, with 1,600 seats for large-scale opera, dance and theatre, the Xiqu Small Theatre and the Chamber Hall for small-scale musical performances. The plan includes plenty of small-scale spaces that Lynch sees as vital to the long-term development of the arts in Hong Kong. “We want to give local artists a chance to develop their work and their competitive position,” he says. “Venues will be delivered that create a value chain. Where successful performers can move up the chain of venues as they find success. Somebody who starts in a small Black Box can by stages move up to the Great Theatre. Lynch sees institutions such as the HKDI as playing a key role in delivering on this objective of a cultural centre with a distinctively youthful and local design flavour. “I see the necessity for us to be engaged in a dialogue with the young design community,” he says. 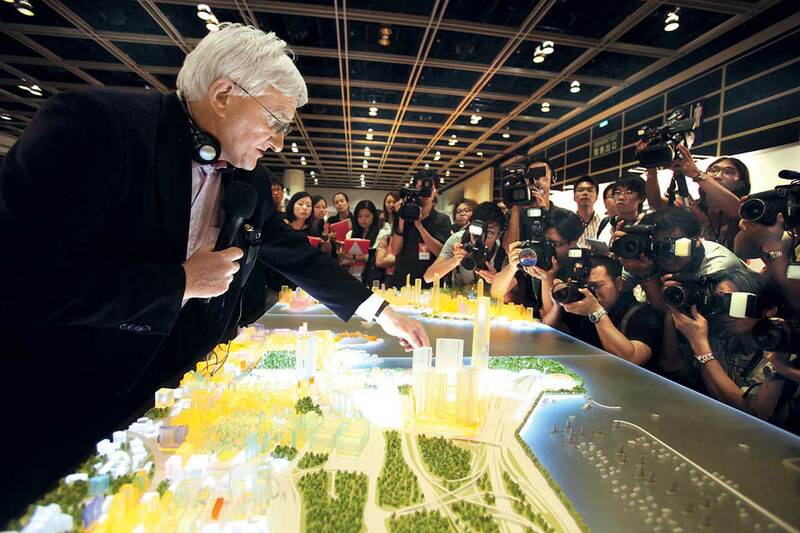 Lynch points to the South Bank project that he led in London as a model for what he will seek to achieve in Hong Kong. Lynch was chief executive of the South Bank Centre from 2002 to 2009. During this period he oversaw the renovation of the Royal Festival Hall, which re-opened to great acclaim in 2007, and was responsible for major improvements to the 21-acre site that allowed for pedestrian friendly access, more restaurants and spontaneous public performances. The overall scheme for WKCD includes a large amount of open space and 150 spaces for restaurants, bars and shops. This has led some critics to fear that the WKCD will end up looking like another Hong Kong shopping mall full of luxury goods emporiums. Lynch is committed to avoiding that outcome. “We will not define the retail space by luxury brands,” he says. Lynch sees the WKCD retail spaces as being a good home for the kind of galleries and design stores that have recently proliferated in Soho and Sheung Wan. He believes that having the right design features will enable the area to offer something unique but it must be built to impress. “It is important that the WKCD have world class architecture,” says Lynch, who is on record as a critic of the architecture of the Hong Kong Arts Centre that currently sits next to the Star Ferry and which will be superseded by West Kowloon. And strut its stuff it will, if Lynch can see his vision through to delivery within the five-year timetable he has in mind. And when it’s all finished and ready to welcome its first paying guests Lynch envisages and opening ceremony that has a tightrope artist walking a wire strung between Hong Kong island’s IFC and Kowloon’s ICC. …More stories like this are available in SIGNED.